Libya's General Khalifa Haftar ordered his Libyan National Army to March on Tripoli, the capital of the country. In the extraordinary move the leader, whose power base has been in eastern Libya, is now posed to be the main leader of the north African state eight years after it sank into conflict in 2011. In just three months, Haftar's forces have conquered swaths of land around Tripoli. The offensive has brought his forces control of more of Libya's key oil fields. He already controlled the 'oil crescent' on the coast and then moved into the Al-Shara fields in February. In mid-March, Haftar's forces moved on Sirte, another key city. He has swept aside militias and other groups linked to the Tripoli-based government. The government in Tripoli is often called "UN-backed" while Haftar is seen as eastern Libya's main leader. However, with the march on the capital, the general is poised to become the most powerful leader in the country. By March 4 the general's forces were streaming toward the capital, as close as 100 km away. Some reports claimed it was even closer by Saturday. Long lines of trucks outfitted with machine guns and painted in green camo were shown. As usual, the Tripoli government has said it is in a state of emergency and a plethora of "armed groups" have been sent to stall Haftar's offensive. The general has come a long way. Born in 1943 he was one of the soldiers who supported Col. Muammar Gaddafi's rise to power in 1969. However, he eventually fell out with the Libyan dictator and moved to the US. In 2011 when the US and European countries supported the Libyan uprising against Gaddafi, Haftar thought he might be able to sweep into Libya as a rebel leader. But it was not to be. He was sidelined, and younger men came to the forefront. 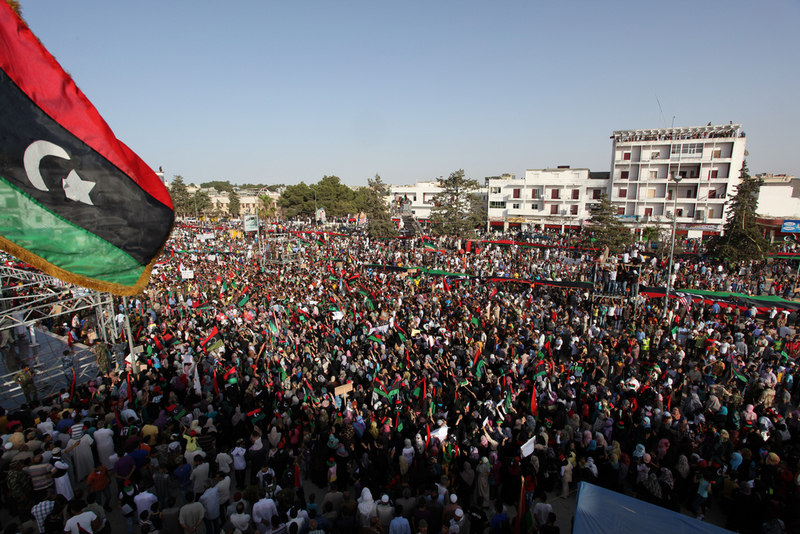 Libya soon disintegrated into chaos with armed factions and extremist groups vying for control. US Ambassador Christopher Stevens was murdered in September 2012 in Benghazi. Things only got worse in the next years. ISIS arrived in Libya and beheaded Christians. Armed groups fought amongst each other. It was in this context that Haftar once again appeared in eastern Libya, this time with stronger forces and launched operation Dignity in 2014 to remove jihadist and other groups from eastern Libya. Critiqued for his harsh methods against the extremists, his forces nevertheless have shown the determination to slowly take back not only the east of the country, but swaths of the center and now the West. Haftar's rise has also come as many states in the region have divided over the post-Arab spring period. One division is between the southern Arab states, such as Saudi Arabia, Egypt and the United Arab Emirates, and an alliance of Qatar and Turkey. Turkey remains one of the few countries still working with Syrian rebel groups in northern Syria. While Turkey opposed the overthrow of the Muslim Brotherhood in Egypt in 2013 by then general Abdel Fattah al-Sisi, Saudi Arabia and the UAE have embraced Sisi. In Libya the two sides, Qatar and Turkey, and Egypt and the UAE, have generally backed different groups. We can also see this in media coverage. Al-Jazeera in Qatar calls Haftar a "renegade leader," but coverage in Egypt, for instance at Al-Ahram, tends to be more positive. Haftar is depicted as restoring order among his supporters. Others see his military background as making him "another Sisi." Haftar has also made some inroads outside of Egypt and the Gulf, with delegations in Russia and France. Haftar went to Moscow in November 2018. Under Emmanuel Macron France has also been depicted as a supporter of Haftar, or at least more open to his role in Libya since 2017.